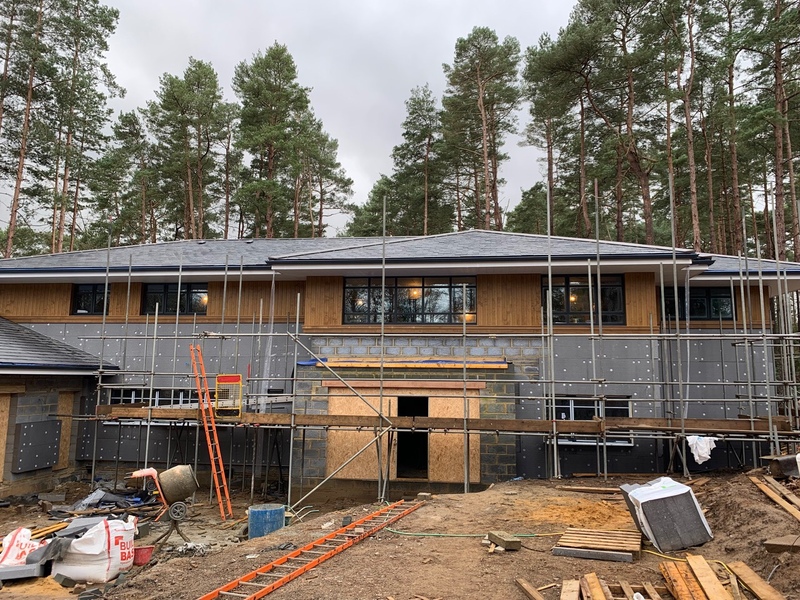 This new home within a woodland site in South Farnham is progressing well on site. 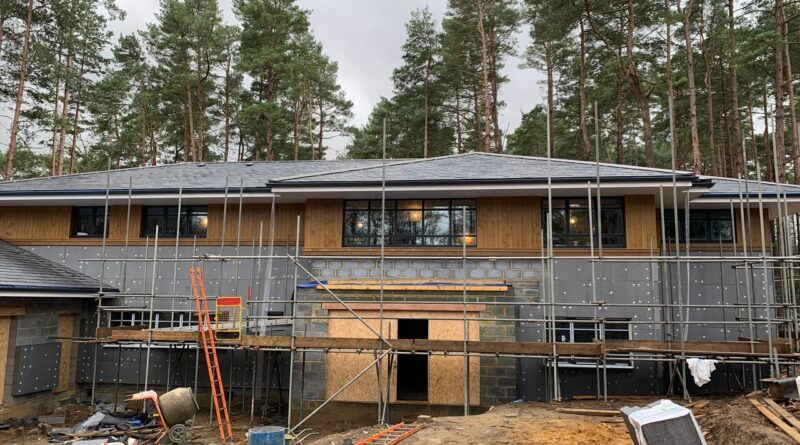 150mm of external insulation behind render below the insulation / timber cladding band ensures a warm overcoat to the solid block work walls. Wide overhanging eaves and the timber band below the cladding exaggerate the low pitched roof and horizontal aesthetic of the design.